Ceiba tree, Amazon Photo by Erick Salazar B. In the summer of 2004, Nawpaq Expeditions bounced to life purely on the suggestions of tour guide friends who, after hearing of my endless sagas of leading tours to Peru, simply asked me to put a tour together for them. As an anthropologist I quickly found out that the available sightseeing programs of conventional tours to Peru were educationally unsatisfactory. That prompted me to create my own: a specially-crafted two-week tour of Peru that would have a bent on education and that would be comprehensive enough to make optionals unnecessary. I also felt that to enhance the over-all quality of the tour, I would have to limit the tour to 19 participants. We are proud to have provided all past tour participants (over 300 so far) with a set of unique and rewarding cultural experiences that has led them to refer our tours to their friends and family. ​Moreover, our tours sell well and do so primarily by word-of-mouth, we rarely advertise. But it took Richard Schally's featured travel article, "Peru, much more than Machu Picchu," published in September 2015 issue of International Travel News <ITN>, to catapult our highly acclaimed tour to a wider audience. Likewise, our tour was also positively reviewed by travel writer Carol Probst in Trip Advisor in the fall of 2017. And ITN featured our Vietnam and Cambodia tour in their "Featured Tours" section (August 2018 issue). Only a handful of tours are chosen each month and we are pleased to have been one of them. 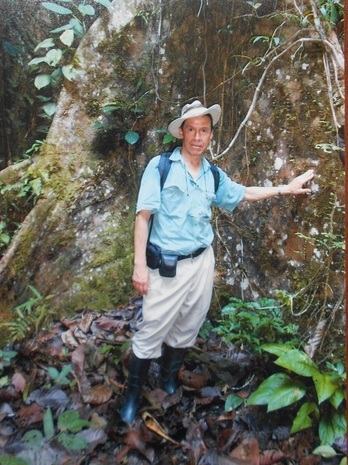 ​Nawpaq Expeditions is also proud to have Vinh Phung, a native of Vietnam, as our Co Host and Coordinator. He is responsible for updating the website (which he designed from scratch) and coordinating visa and air information for our tour members. Finally, we are now contributing $100 USD per-tour to organizations that are responsible for safeguarding nature's resources and its denizens against human encroachment and aggression. Nature nurtures life, yet we treat it with contempt! ​Manuel was born in Peru and educated in the San Francisco Bay Area where he received his teaching credentials and Masters of Arts in anthropology. Nawpaq Expeditions is based in Lima, Peru and San Francisco, California (we reside in both cities), and is responsible for developing all of the educational components and for servicing all of the land arrangements connected with our tours.